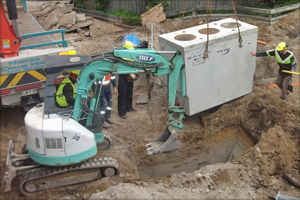 At Laser Plumbing Taupo, we understand how critical it is to have your most important equipment working at its best, and know what is at stake when things break down. Laser Plumbing Taupo is here to help when you need an immediate response, quality workmanship and friendly plumbing advice. We provide industrial plumbing services across the greater Taupo region as far as Mangakino, Whareroa, Kinloch, Kuratau, Motuoapa, Reporoa, Turangi and Tihoi. The needs of specialised industry companies are wide and varied. Whether your business specialises in agriculture, horticulture, manufacturing & assembly or mining, Laser Plumbing Taupo should become your plumbing contractor of choice. Our highly experienced plumbing team will ensure that your premises are always maintained and compliant. If the plumbing service you require is not listed, please contact Laser Plumbing Taupo.